Once Matterport enables publishing to Google Street View (January 2018), how will you promote your Google Street View tour creation and publishing service? 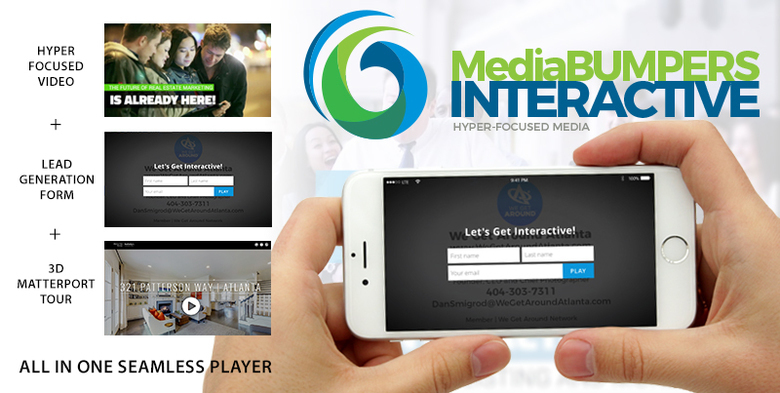 The video of your choice is customized with your company logo and contact info (and landing page at the end of the video) and the inbound leads generated by the interactive video go directly to you! These four (4) videos are available exclusively for We Get Around Network Basic, Standard and Premium Members and powered by MediaBumpers Interactive. For clarification, it is a BONUS video gift for WGAN Basic, Standard or Premium Members, as of 31 December 2017. The videos on the top row (above: MB14, MB15) are the same – except for the talent. The videos on the bottom row (above: MB16, MB17) are as the same – except for the talent. Please allow up to 30 days to receive your video. For more customized, interactive lead generation videos, please visit this special MediaBumpers Interactive special offer page for We Get Around Network Basic, Standard and Premium Members. These Are going to be POWERFUL!!! They make it possible to Show AND Tell potential clients about our services FAST! Thank you Dan for sharing them with the community!!! Now that Matterport has begun public beta testing of publishing to Google Street View, have you thought about a video to help you promote that you now offer this service? If you are a WGAN Standard Member u(www.JoinStandard.com), yo get the free use of 9 of these marketing videos – customized with your contact and logo. Above are the Google Street View videos. 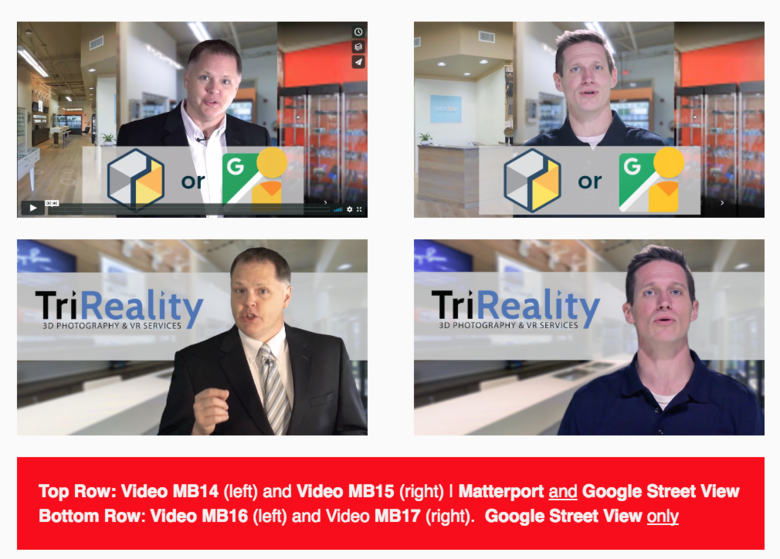 31 of the above Google Street View/Matterport videos were delivered in the latest batch by MediaBumpers Interactive today (10 January 2018) to We Get Around Network Basic, Standard and Premium Members. Thanks Chris at @ArtisticConcepts !!! Thought-Starters: use them on your website, newsletter, social media and to share with prospects.